Having had the taste of travelling to a few places, the travel bug has always nudged at my side at all times. If you are a nature lover and enthusiastic but amateur (read flabby) trekker like me, then Sarangkot Hill in Nepal must surely beckon. How do you get there? Sarangkot Hill is located in Pokhara, a 20-minute flight from Kathmandu. 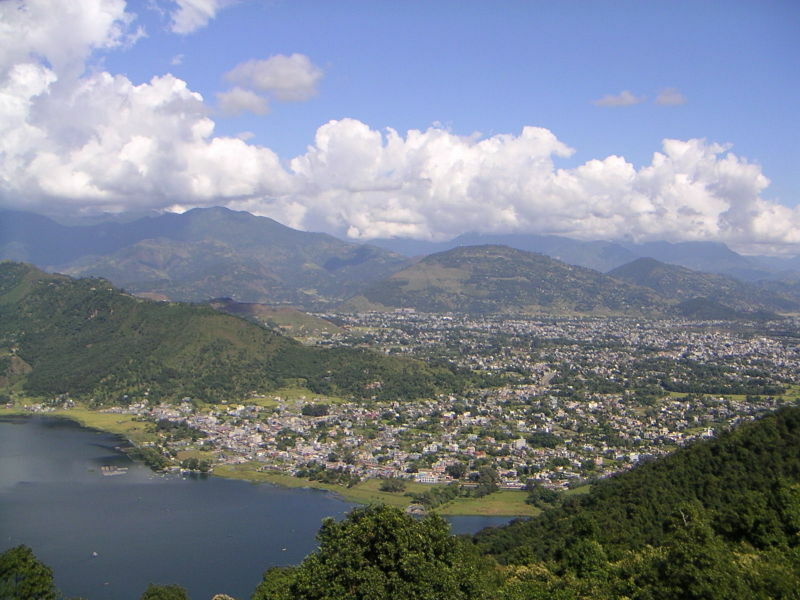 Pokhara (पोखरा) is a city in central Nepal located at 28.24 N, 83.99 E,, 198 km west of Kathmandu. It is the capital of Kaski District, Gandaki Zone and the Western Development Region. You can fly there via a local airline for less than US$50. From the airport, it’s a fifteen-minute drive to the base of the hill. Nature smiles and greets you in all its grandeur and magnificence here. You’ll see a breathtaking view of the Annapurna range that forms a large section of the Himalayas. The name itself lends an air of Hindu/Buddhist mystic fascination to the setting. You’ll also be bowed over by Phewa, Nepal’s second largest lake, with all its loveliness. The town of Pokkhara lies serenely at your feet in picturesque charm. The peak of Mount Machupucchare makes for good photography subject to show off to family and friends. Fresh air abounds, and escape from the choking dust and din of the city is complete. While the ascent to the top of the mountain takes two hours for seasoned travellers, you could opt to take a taxi from Pokhara to Baglung for 300 rupees (US$4). 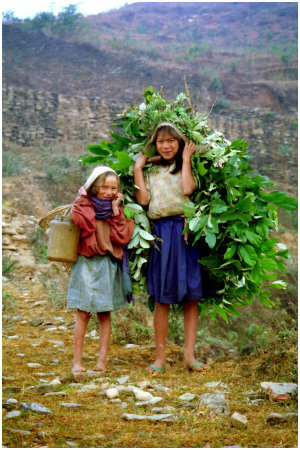 The climb is then reduced to a one-hour trek where you’ll also get the chance to see the Seti (white) river. At the 1,600m point, you could come down the fast and exciting way via tandem paragliding. Sunrise Paragliding offers their services at US$50. While the allures of Sarangkot Hill will leave you contented and refreshed, watch out for the steep incline, bugs and mugging. The haze also could potentially spoil an otherwise beautiful trip. Pokhara is one of the tourist hub of Nepal. It is a combinatin of nature and culture. Lakeside, is one of the happening places of Pokhara, where tourists can find everything. It is quite a modern city with only few touristic attractions in the town itself. Most interesting is the old centre in the north of the city (purano bazar) where still many old shops and warehouses in the Newari style can be found. This entry was posted on Monday, December 25th, 2006 at 12:07 pm	and is filed under Advice and Guide. You can leave a response, or trackback from your own site.